The idea is to provide a sustainable green light for outdoor usage. 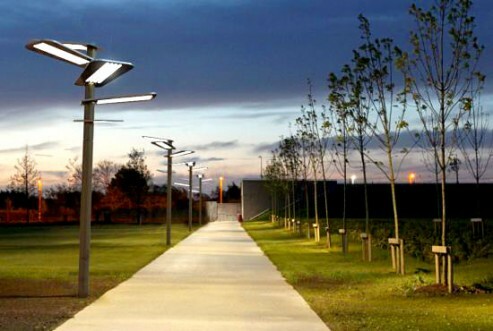 The new concept design by Danish designers, Michel Riss and Jens Rosbjerg is dubbed Sun Flower, a solar powered streetlamp that has an average durability up to 50,000 hours, emitting high-intensity 56W white LED light. 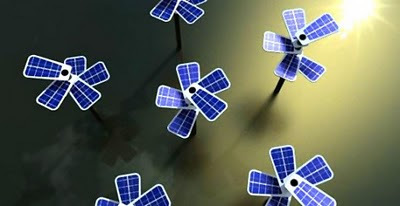 The Sun Flower concept features a solar panels capable of harvesting solar power at day time and store them into a battery and will automatically release the stored green power for streets during once the sky is dark. The Sun Flower street lights concept is also integrate daylight sensor for on/off automation.